Following 2011’s X-Men: First Class and 2014’s X-Men: Days of Future Past, X-Men: Apocalypse is wrapping up the "First Class" trilogy this May. However, this doesn’t necessarily this is the last we’ve seen of the "First Class" iterations in future movies. 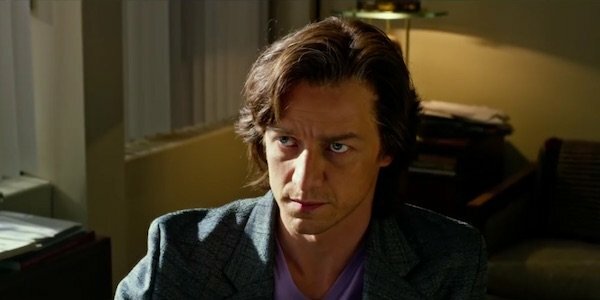 Take James McAvoy, who plays the young Charles Xavier. He’s now expressed interest in returning to the role at some point, and he thinks that his co-star Jennifer Lawrence will join him. Yeah, I’ve heard… people have said she’s not into it, stuff like that. She’s always said to me that she would think about it. So yeah, that sounds great. I hope she does, because I love working with Jennifer. You know, we’ve been like an extended sort of family, in a weird way, for six or seven years now. James McAvoy’s Xavier and Jennifer Lawrence’s Mystique first appeared in X-Men: First Class, where, after growing up with one another, they sought out other mutants during the early 1960s. Their relationship took a nose dive when Mystique decided to join Magneto’s mission of mutant superiority, but the end of X-Men: Days of Future Past saw some slight improvement, and X-Men: Apocalypse will see Mystique working with the other X-Men against the eponymous villain and his Four Horsemen. Although spinoffs like Deadpool 2 and Wolverine 3 are coming, it’s unclear what the future holds for the main X-Men movies, but if they continue to be set in the past, then it is possible that we could see these versions of Professor X and Mystique together again, though not necessarily right away. Who knows, maybe Nicholas Hoult and Michael Fassbender may decide they want to play Beast and Magneto, respectively, a few more times as well. If they want me to, I’ll do more, yeah. It was rumored last week that James McAvoy might reprise Professor X for the upcoming New Mutants movie, which would make sense if that was set in the ‘80s or even early ‘90s. However, if it’s set in the present day/near-future and Professor X is indeed involved in the story, then they’ll most likely try to get Patrick Stewart back in the role, which he’s reprising next year for Wolverine 3. James McAvoy’s Professor X will return on May 27 for X-Men: Apocalypse, which will finally the character losing his hair and rocking the classic bald look.